The Manzanita Micro PFC50X 50A or 75A DC EV lithium battery chargers are a unique group of powerful, efficient battery chargers. The PFC50X 50A or 75A DC EV lithium battery chargers will run off any voltage from 100 up to 240 volts AC. The PFC50X 50A or 75A DC EV lithium battery chargers can be set to run automatically when plugged in, yet they also have far more user adjustable functions than other electric vehicle chargers. Every model is user adjustable to charge batteries from 12 to 450 Volts DC. The PFC50X, PFC50XB and PFC-75 are all power factor corrected. 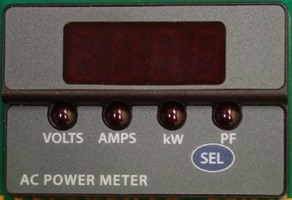 The PFC50X 50A or 75A DC EV lithium battery charger comes standard with an AC input current display and rear panel mount Anderson Power Pole connections. With so much flexibility and models from 20 to 75amps, your PFC50X 50A or 75A DC EV lithium battery charger may be the last charger you ever need to buy. The essential ingredient for fast recharge times is to deliver high power to the battery. The key to polite opportunity charging is to be able to share outlets with other equipment and make efficient use of limited current. The Manzanita Micro PFC50X 50A or 75A DC EV lithium battery charger line has an adjustable current throttle knob to allow the PFC50X 50A or 75A DC EV lithium battery charger to be turned down to operate on very limited power sources. 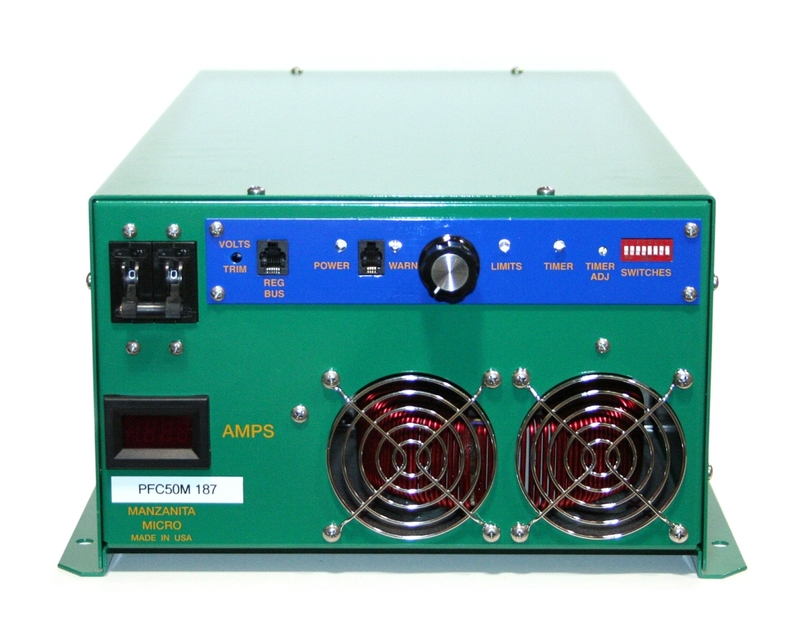 Even the venerable PFC-75 can easily run at reduced output from a 110 volt source. Efficiency and power factor are both better than 0.9. The Manzanita Micro PFC50X 50A or 75A DC EV lithium battery charger stands for Power Factor Corrected. This means that current and voltage are drawn in unity, (ie: current is drawn with unity to the incoming line voltage). It is no wonder Manzanita Micro PFC50X 50A or 75A DC EV lithium battery chargers are used in electric vehicles in countries all across the globe. See more about the charger in the user manual. There are 2 ways to get an exact quote for the base shipping for your PFC50X 50A or 75A DC EV Lithium Battery Charger order. We’ll research the exact shipping cost and send you an invoice to your PayPal or email or you can add it to your pallet in $1 Shipping Increments for your PFC50X 50A or 75A DC EV Lithium Battery Charger order.